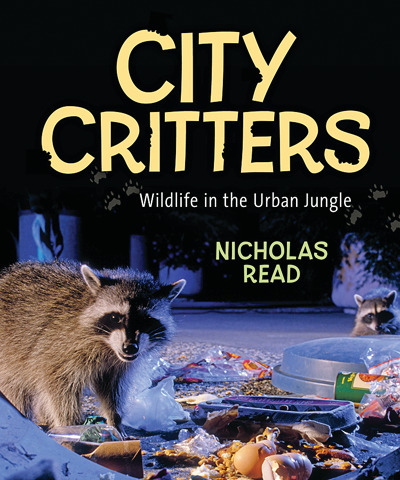 Divided into nine chapters, this lavishly illustrated work explains how wildlife across North America has adapted to our increasingly urban environment, and it champions the theory that people and other creatures can successfully co-exist. Nicholas Read, a Vancouver-based journalist and teacher, argues that urban animals—from the ubiquitous raccoon to the extraordinary Manhattan-dwelling coyote—deserve our understanding and protection. The chapters cover pretty much every type of creature that can survive and sometimes thrive in urban and suburban communities, including land and marine mammals, fish, birds, insects, reptiles and amphibians. The book offers a plethora of interesting information—much of it based on recent scientific studies—and every page boasts at least one colour photograph and sometimes an explanatory sidebar as well. Read is a good writer, with a flair for conversational flourishes (in relation to spider webs, he dryly notes, “Then it is good bye insect and hello dinner.”). This superbly edited work includes hundreds of colour photographs, a glossary, two pages of additional web-linked resources and a detailed index.